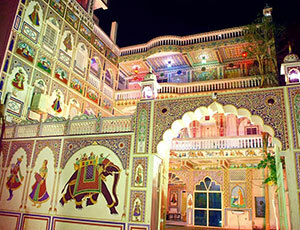 Experience the elegance of Rajasthan in its great forts, palaces and temples. 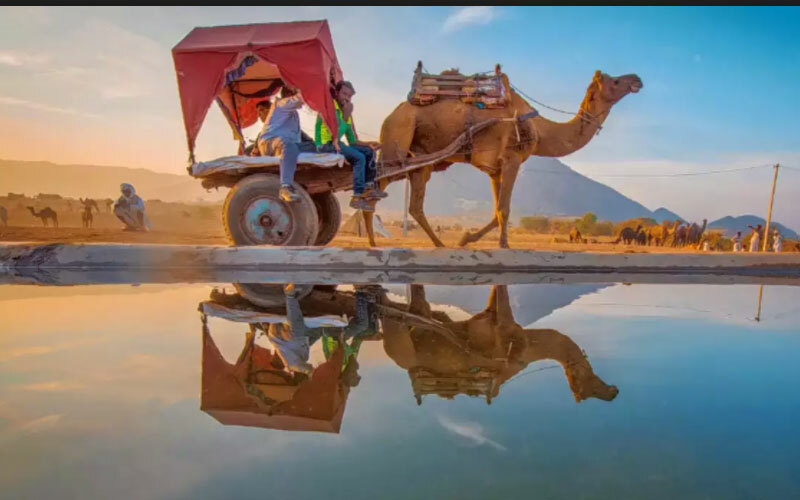 The Incredible state of Rajasthan is known to travellers for its vivid culture, age old heritage, colourful and joyful lifestyle and hospitable people. Situated in the western part of the country Rajasthan is dotted with a large no. of forts, palaces, havelies, frescoes, temples, lakes, gardens etc. Dating back to 5000 year old history the dashing forts and charming palaces of Rajasthan are standing strongly telling us many stories of glory and valour of erstwhile kings who ruled here and left behind their memories in stones. Our small group tours ‘Majestic Forts & Palaces’ of Rajasthan is all about the historical culture of monuments and simple lifestyle of the people of Rajasthan. Flagging off at the capital city of Delhi and taking you through the open air art gallery of Shekhawati region, temples and fortress of Bikaner, sand dunes of Jaisalmer, dashing Mehrangarh fort of Jodhpur, romantic lakes of Udaipur, calm and peaceful atmosphere of Pushkar village which turns to be the most crowded and happening place in the Northern India during Pushkar Cattle Fair organised in the month of November every year, pink city of Jaipur with some finest architecture and the stunning, the most beautiful and perhaps the finest monument ever built in the history of love, the Taj Mahal. Come embark on this splendid journey of a lifetime and collect memories and friends for the rest of your life. A traditional welcome at Delhi airport brings the first smile on your face as you meet with the representative of Max holidays who will assist you to reach your hotel in Delhi. Our friendly driver and representative will ensure a comfortable and timely service. Delicious breakfast waits for you in the hotel restaurant. After breakfast meet with our tour guide in the lobby of your hotel and kick start your great trip to the majestic forts and palaces of Rajasthan with sightseeing trip of Delhi. Morning drive for New Delhi railway station, start your day with a city walk tour of Salaam Balak Trust. The Salaam Balak Trust is an organization that supports street children and provides shelter to them. The main purpose of the organization is to make people aware about small children who are forced to beg or become child labour. The tour will begin at New Delhi Railway Station through the streets of Paharganj and finally to their shelter home, you will also get a tour guide from Salaam Balak Tour that will be a child from their home only who will be narrating short stories about their past life from the streets accompanying you for the walk i.e. for 02 hours. After an ultimate experience of their life’s behind the scenes, the Tour Guide of Max Holidays will meet you at a pre-decided place and take you to the New Delhi Metro Station to board Metro for Jama Masjid. On arrival, Jama Masjid sightseeing and also take a short rikshaw ride. Later not to forget the places to be visited including the Raj Ghat, Qutub Minar, Bangla Saheb Gurudwara which will be your soul inspiring experience for the day. Overnight stay at Hotel in Delhi. This is your third day of the Majestic Forts and Palaces group tour of India and today you are going to leave behind the city of Delhi to travel to a much bigger state of Rajasthan. The first destination in Rajasthan is Mandawa which is a worldly renowned city for its beautifully painted walls and roofs. It is often referred by the travelers as the ‘largest open-air gallery in the world’. 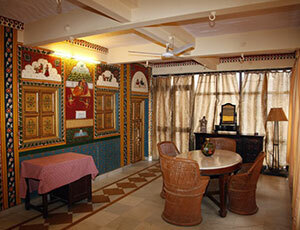 On reaching, check in at your heritage hotel and get the real feel of living the style of Rajasthani people. 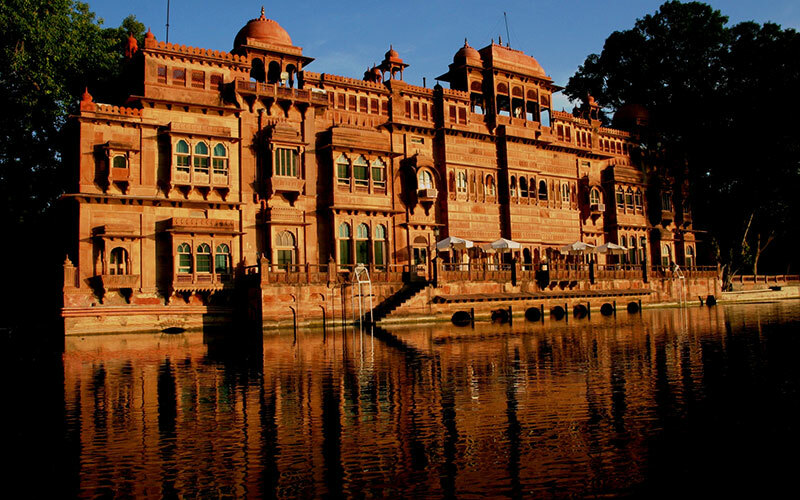 Later proceed for sightseeing trip visiting many famous havelis and frescoes - Jhunjhun Wala Haveli, Goenka Chokhani Haveli, Mohan Lal Sarafa Haveli, Gulab Rai ladiya Haveli, Saehramki Haveli, Murmuria Haveli. Take a walk along the street for local experience. Spend a beautiful night in Mandawa. Optional Visit: Camel Cart Ride in Mandawa. Drive to Bikaner after breakfast. The city of Bikaner was founded in 1488 AD by King Rao Bikaji. The city was named after him. The vibrant town of Bikaner has many historical sites including Junagarh Fort, after that visit National Research Centre on Camel also called as the Camel breeding farm, later visit the famous rat temple. Enjoy sightseeing trip of Bikaner with your local guide. Evening return back to hotel for overnight stay at hotel in Bikaner. Morning breakfast at hotel then drive towards Jaisalmer. Jaisalmer is an exotic city of Rajasthan located on the western edge of India near Thar deserts bordering with the neighboring country of Pakistan. 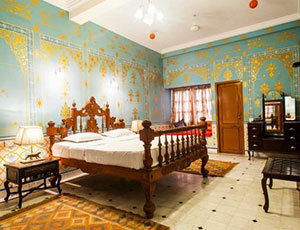 It is famous for the golden sand dunes, forts, havelis and its laid-back hassle-free lifestyle. You are free to explore Jaisalmer also called as Yellow City. Spend the evening at Jaisalmer sunset point. Overnight stay at Hotel in Jaisalmer. After breakfast, you will visit the Jaisalmer Fort (also known as the Golden Fort) constructed in 1156 AD. This is the only fort in Rajasthan which still houses the local families within the premises of the fort. 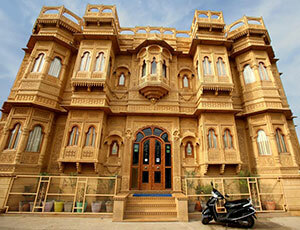 Also visit some famous beautifully designed havelis of Jaisalmer. Some famous names are Patwon ki Haveli, Salim Singh ji ki Haveli and Nathmal ji ki Haveli. Also enjoy a guided visit to the Bada Bagh and Gadsisar Lake. Walk through the narrow streets and busy markets of Jaisalmer. In the late afternoon drive to Sam Dunes to have a feel of desert. It is a perfect place to enjoy a desert safari on camel’s back and watch picturesque sunset at Sam Dunes. Overnight stay in the camp. Highlights: Patwon ki haveli, Salim Singh ji ki Haveli, Nathmal ji ki haveli, Bada Bagh and Gadsisar Lake. Optional Visit: Folkore Museum – The articles and exhibits in the museum shows the rich history and culture of Jaisalmer which attracts the many visitors to this place. One of the most famous tourist destinations of Rajasthan and a favourite destination for photographers, Jodhpur is situated in the Thar Desert of Rajasthan. Also known as the ‘Blue City’ for its blue colour painted houses and buildings in the old part of the city. On your Majestic forts and Palace India group tour package you are travelling this morning from Jaisalmer to Jodhpur. A 240 kms and about 4-5 hours’ drive brings you to the ancient town of ‘Osiyan’(or Osian). Situated about 65 kms off Jodhpur near Jaisalmer-Jodhpur highway Osiyan is surrounded by golden sand dunes and hamlet. Osiyan was also known as a prominent trading centre on silk route, visit Jain Temple in Osian. Further proceed to Jodhpur and visit the magnificent Mehrangarh Fort situated on a 150-meter high hill. The fort of Mehrangarh still has the marks of various battles fought by the royal Kings of Jodhpur. Also visit the Jaswant Thadathe white marble cenotaph. In the evening, walk along the streets and bazaars near the famous Clock Tower of Jodhpur. There is a small spice market near the Clock Tower which surely will attract your attention. This morning, have your delicious breakfast and get ready for a drive to Udaipur, the most romantic city of Rajasthan. On the way to Udaipur, enroute sightseeing at Ranakpur visit the famous Jain Temples in Rajasthan. The architectural extravaganza of the temples of Ranakpur are one of the most sacred temples for the Jain community. Within the complex, there are several temples but among all Chaumukha Temple is the most important. Since the guides are not permitted in the temple complex, you can hire audio guide to get more information about the places you visit in the Ranakpur Temple complex. Later drive straight to Udaipur. 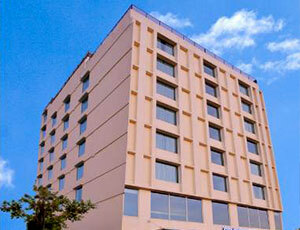 On arrival check in at hotel & enjoy an evening free for own activities, overnight stay at Hotel in Udaipur. In the morning after breakfast visit Jagdish temple, City Palace Museum, Saheliyon ki Bari (The garden of royal maids) and vintage car museum of Udaipur. Udaipur is a shopper’s delight known for its colourful ethnic wear, miniature paintings and handicraft items. Later drive to the bank of Lake Pichola from where you will check into a boat for a journey through the beautiful Lake Pichola. An hour-long boat trip takes you to Lake Palace, Lake Pichola and Jag Mandir Island. You can get down at Jagmandir Palace for spending some time watching the beautiful sight of palaces of Udaipur on the bank of Lake Pichola. 1) Bagore Ki Haveli – Built in the 18th century Bagore ki Haveli is located at Gangori Ghat, on the banks of Lake Pichola. It has more than 100 rooms in it; each room is decorated with different kinds of paintings made of glasswork and other things. You can also find many traditional costumes as well. 2) Bhartiya Lok Kala Museum – It is the most popular museum in Udaipur near Chetak Circle. To encourage the local arts and crafts of Mewar Bhartiya Kala Mandli took an initiative to display all the articles well in a Museum, so the Bhartiya Lok Kala Museum started. Highlights: Jagdish Temple, City Palace, Saheliyon Ki Bari, Boat Ride at Lake Pichola, Jag Mandir Island. Included entrances : City Palace complex and museum, Saheliyon-ki-bari, Boat Ride at Lake Pichola. Drive to Pushkar after breakfast. This beautiful village of Rajasthan is one of the most ancient cities of India. 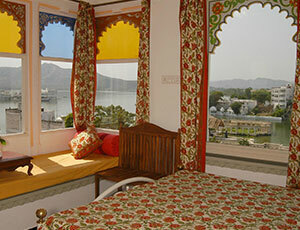 Beside its peaceful and laid-back atmosphere, Pushkar is mainly famous for a holy lake and few Hindu temples. The village attracts attention and visit of global community and travelers during the month of November for the world’s largest cattle fair taking place here. On reaching Pushkar check into the hotel and visit the Pushkar Lake, Brahma Temple and other temples dotted along the bank of the lake. Optional Visit – Jeep Safari in and around Pushkar for half day. Morning breakfast at Hotel then drive for Jaipur. On arrival check in at hotel, later sightseeing of Jaipur a visit to Jantar Mantar astronomical observatory & Birla Temple also known as Lakshmi Narayan Temple. We have leisurely night stay at the hotel today. After a quick and delicious breakfast reach Amer Fort which lies about 10 kms out of Jaipur city. The beautiful palace of Amer was once the capital of Rajput kings. From the start point of the fort you will ride on a decorated elephant like a king to ascend to the fort up on the hill. Visit the stunning architecture and beautiful courtyards, rooms and gardens inside the palace and know about the royal lifestyle of the kings and their family. Further take a drive to Jaigarh fort which is situated on the other hill overlooking the palace of Amer. 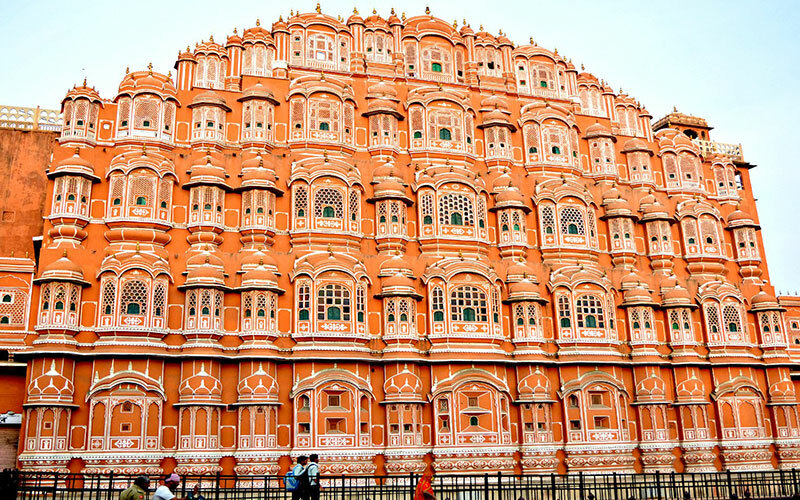 This strong and well planned fortress of Jaipur was built to protect the palace from any possible attack of enemies. World’s largest canon on wheels Jaivana is the major attraction for visitors apart from the museum and water storage tank system. Later drive back to the city on the way Photo Stop at Jal Mahal Palace – an island which gives a most drastic view for photo shoot. Now take a food walk on the local streets of Jaipur which starts from the famous monument Hawa Mahal and ends at Laxmi Misthan Bhandar. You will get to taste a lot of local cuisines of Rajasthan like, the Kachoris, Puri Sabzi, Pakodi, etc., also you can try the traditional food of Rajasthan Dal Bati Churma. Rest of the day is free to relax or you can visit Gaitore (No Guide) -Royal Cremation Ground of Kachhwaha Rajputs or evening spend at Albert Hall (No Guide). Overnight stay at Hotel in Jaipur. Highlights: Elephant ride, Amber Fort, Jaigarh Fort, Hawa Mahal, Jantar Mantar, Food Walk, Photo Stp at Jal Mahal Palace. After breakfast drive towards Agra, on the way visit Chand Baori Stepwell & Fatehpur Sikri. Abhaneri is a village which is 90 kms drive towards Agra from Jaipur here you can visit the largest Chand Baori Stepwell then continue drive towards Agra. Now enroute visit Fatehpur Sikri 30 kms before Agra to visit the walled city of Fatehpur Sikri. This deserted town was once the capital of Mughal Empire in India and it was built by Shah Jahan to commemorate the birth of his elder son Jahangir. But the acute shortage of water at place forced them to shift to Agra. This huge walled city has many attractions including world’s highest gate ‘Buland Darwaja’ and the tomb and Dargah of Sufi saint Khwaja Salim Chishti who was the senior advisor of Mughals in India. Take a battery van experience till the gate of Fatehpur Sikri. 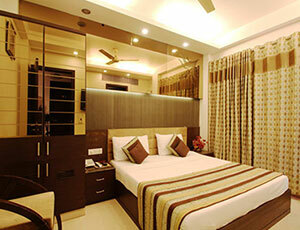 Later continue your journey for Agra, on arrival check in at hotel & overnight stay at hotel in Agra. Optional Visit: ‘Mohhabat-e-Taj’ show can be an optional one-hour show which you may select for the evening. Backed by 60 performing artists this 80-minute dance drama spectacle supported by audio visuals narrates the story of Taj Mahal. Today you are going to have the best experience of visiting World’s finest monument of Taj Mahal which symbolizes the eternal love of Emperor Shah Jahan for his beloved wife Mumtaz. Also enjoy a rikshaw ride at a distance from Taj Mahal, later drive back to hotel for breakfast. After breakfast, sightseeing of Agra Fort, later head towards the Sheroes Hangout Cafe – cafe which is run by Acid Attack Victims. Late afternoon, drive to Delhi and on arrival directly transfer to the Delhi airport from where you will board your onward flight. Your Majestic Forts and Palaces India group tour with Max Holidays comes to an end as you depart with everlasting memories of your trip. Walking tour, Rickshaw ride, Metro ride, Camel Ride, Spice market visit, Boat ride, Elephant ride, Food Walk, Battery Van ride, Tonga Ride. 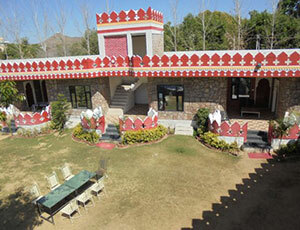 Harasar House, Near Karni Singh Stadium, Bikaner - 334001, Rajasthan, India. 34-35 Lal Ghat, Udaipur (Raj) INDIA. Spend two weeks in some tastefully selected hotels. Some of those hotels were the houses and palaces of erstwhile royal families of Rajasthan and now have been converted into hotels with modern services. 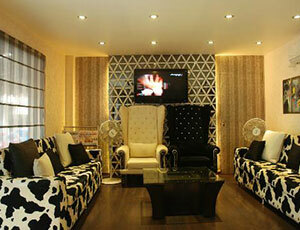 Feel royal and experience the life of kings of Rajasthan. An evening cultural activities will be organised for you near the Sam sand Dunes. Staying in a camp for a night in the desert can be a different experience. If interested, ask details. "Right from the starting i.e. Delhi, I loved its cuisine. The chicken from the shops near Jama Masjid and the ride in Metro and rickshaw gave me a different feeling. The chicken tasted delicious. I loved the way the food was offered to all the people present in Bangla Sahib irrespective of their gender, age and nationality. The Havelis at the Mandawa are breathtaking. Listening to the stories related to these places made me imagine the standard of living of the kings during those days. Agra is a great place with one of the Seven Wonders of the World, the Taj Mahal present here. On a whole, the trip was quite satisfactory for me. That was great! Thanks"
"This trip has proved to be a heartthrob. I was so happy here that I didn’t even want to come back to my residence. The sunset scene at Jaisalmer is alluring. That moment was very peaceful. I really wished this one to be never ending. I also experienced the camel ride that was really great. In short, I loved it! Thanks to Max Holidays. " "My 15 days trip commencing from Delhi till Agra has been a memorable one. My big thanks to Max Holidays for making it ‘worthy of being remembered’ for me. Taj Mahal is a masterpiece. Udaipur is a peaceful place with welcoming people. The way they greeted and welcomed me is just out of this world. " "Max Holidays has planned my trip in a well- mannered way. The trip was totally hassle- free. I enjoyed every single moment of my voyage and that too completely. The traditional food of Rajasthan is a commendable crystal to all the present culture and traditions of the place." "I undoubtedly enjoyed the trip. Max Holidays had given me more than what I imagined. Their services, way of communication, discipline and punctuality, I found each and every thing apt out here! Rajasthan is really a beautiful trip. Loved the culture and traditions of such an exotic place that is full of colours, positive vibes and kindness." "I must say the we had a great trip, most importantly the sightseeing was something interesting, they has some exclusive planned like the Salaam Baalak Tour in Delhi and food walk at Jaipur. Some visits were quiet interesting like Bagore ki Haveli in Udaipur. I opted for some optional tours as well. An assistance person assisted us for all the optional tours. I could travel with the group along with it at certain placed i book optional that was a private one. So, i could have experience of both group and private trip. The vehicles and accommodation everywhere was good in budget." "I just came back from my group tour to Rajasthan. The experience travelling in a group was amazing. We started our tour in Delhi, where all the group members met at the airport and introduced to each other by Max holidays. I was travelling alone. The itinerary was well scheduled and I met many other people also from other countries travelling solo. I made a very good friend from Sydney name George. We shared the rooms also together in the hotels at all places. We had clicked many photos together and got cherished memories for lifetime. Returning back I really miss him." Gracias, for you effort during the trip for making it wonderful to Rajasthan. I came to India with my wife and we thoroughly enjoyed the trip. Especially the food walk in Jaipur. Jaipur i must say food local food is a must try. Encantada de Conocerte!"